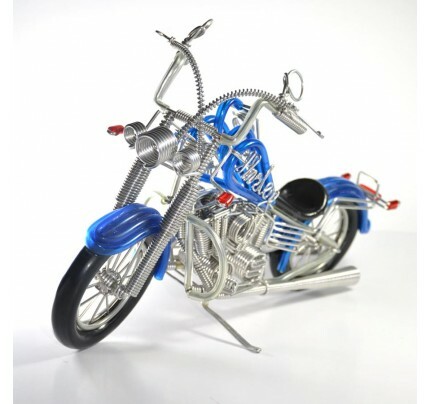 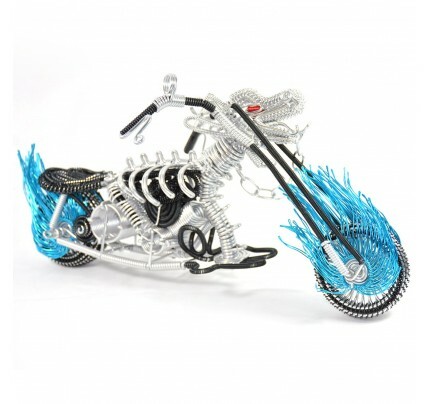 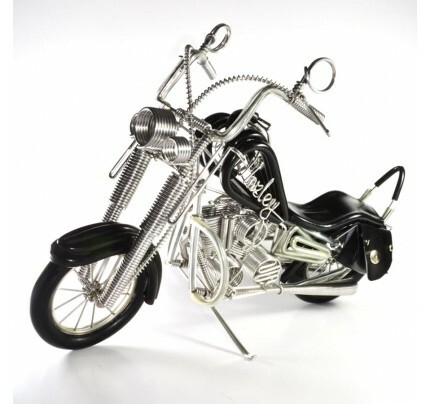 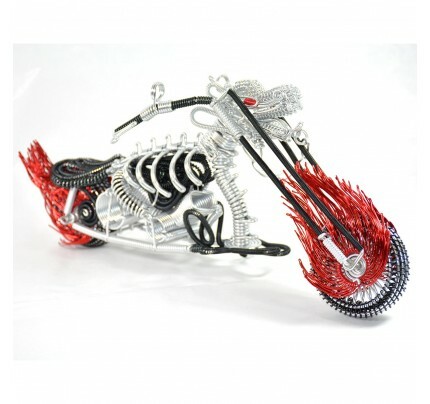 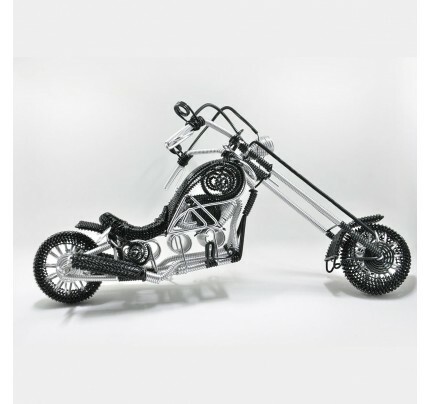 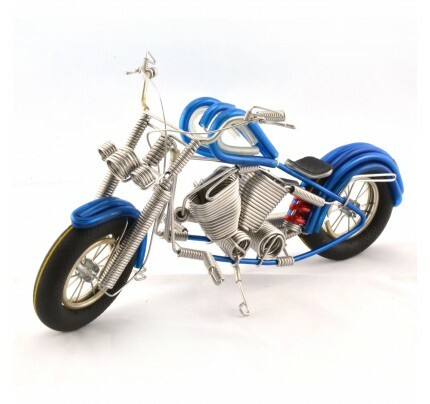 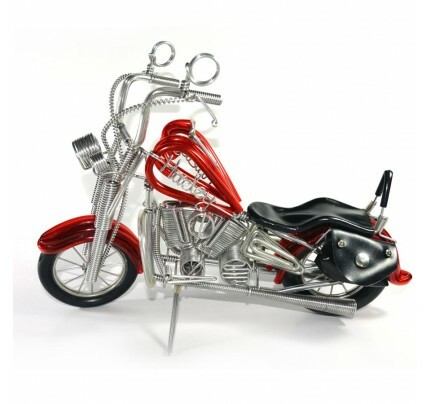 High quality wire art motorcycles handmade with steel wire, bright plastic linings, artificial leather and dedicated craftsmanship. 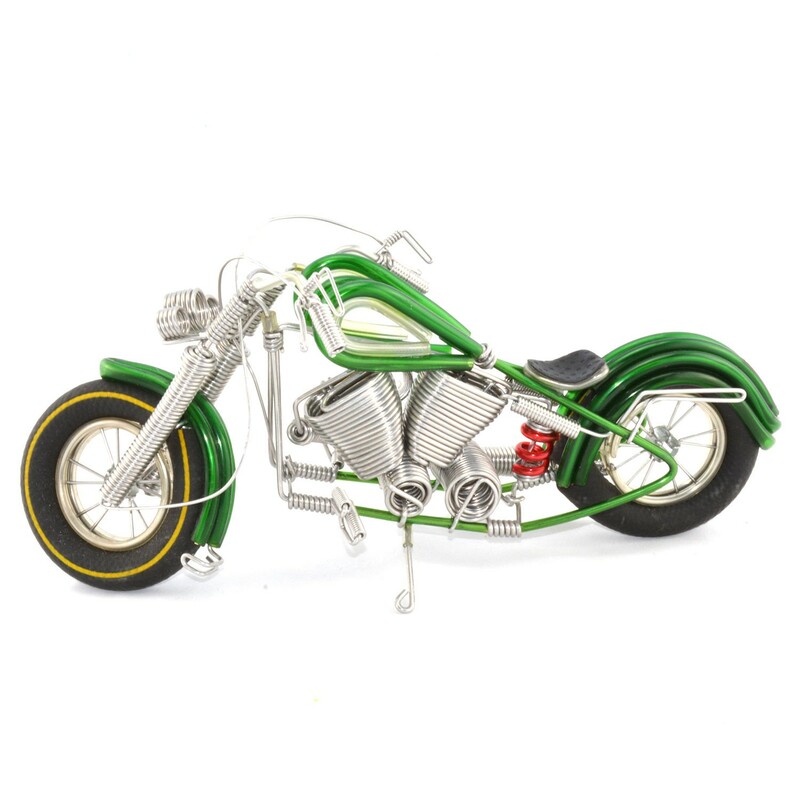 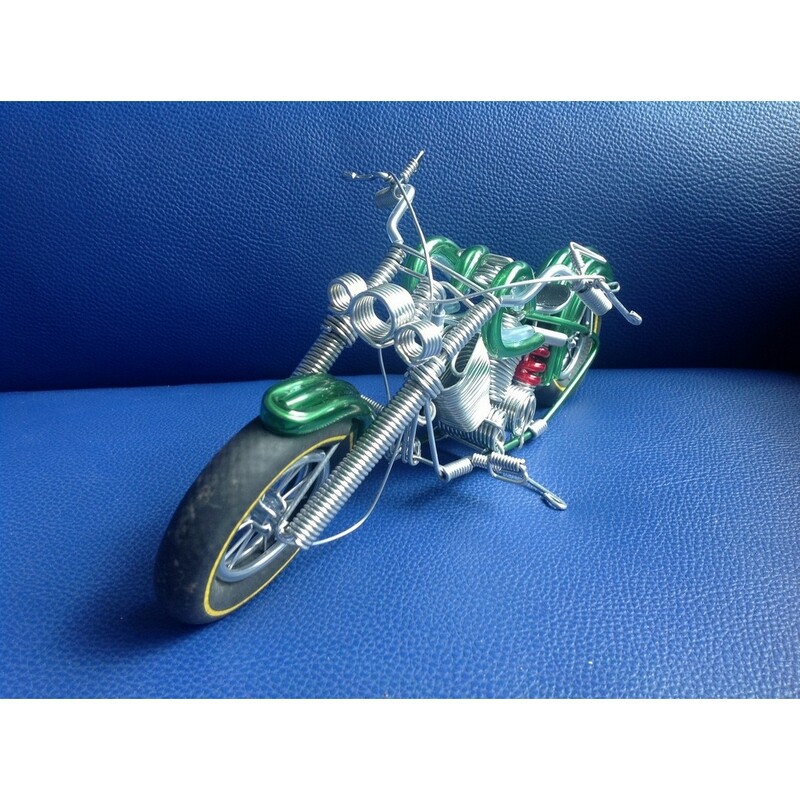 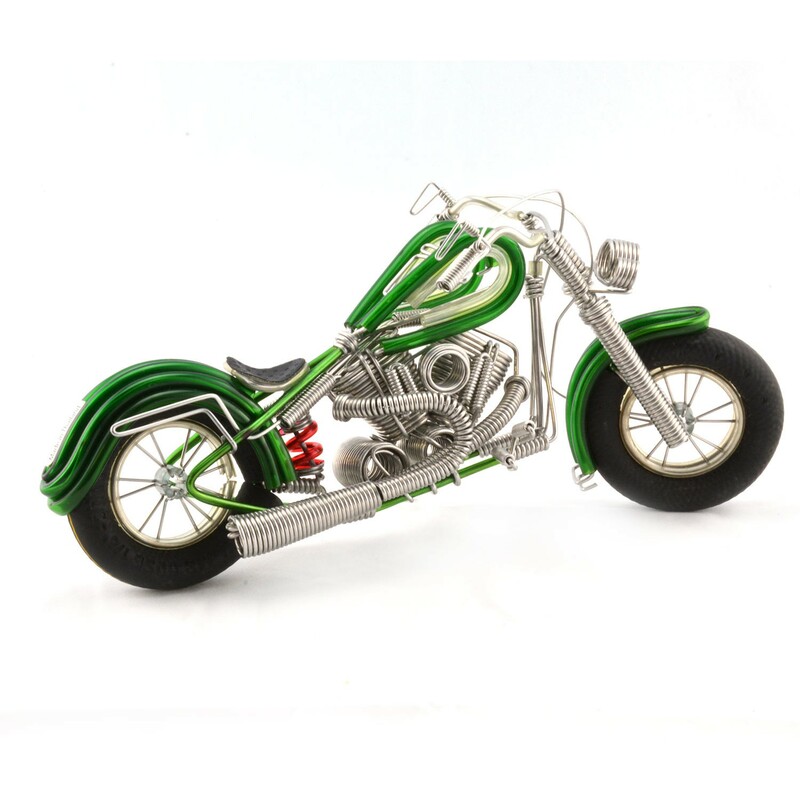 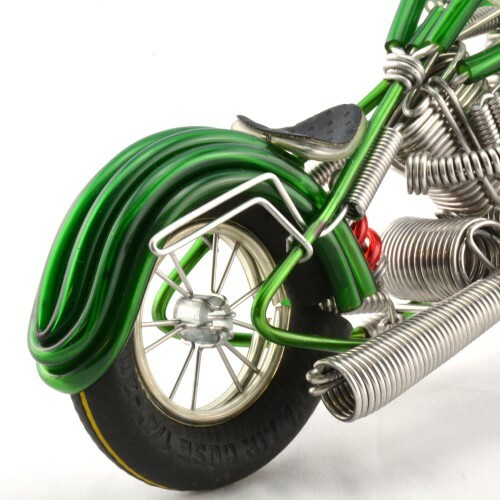 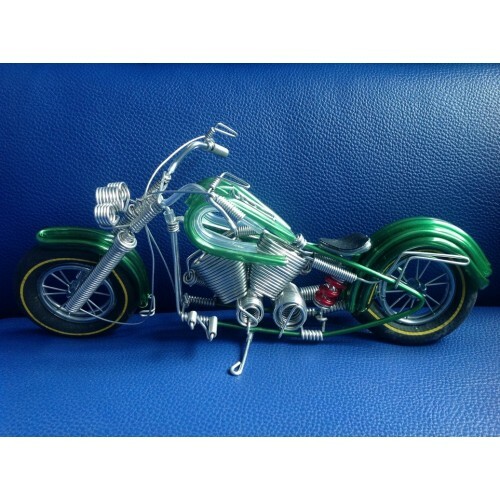 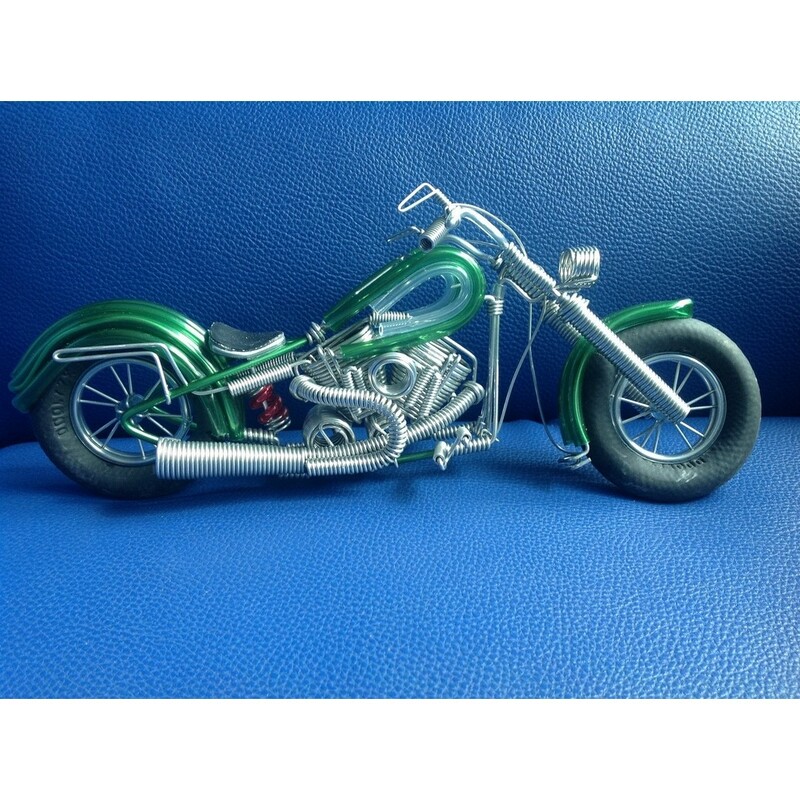 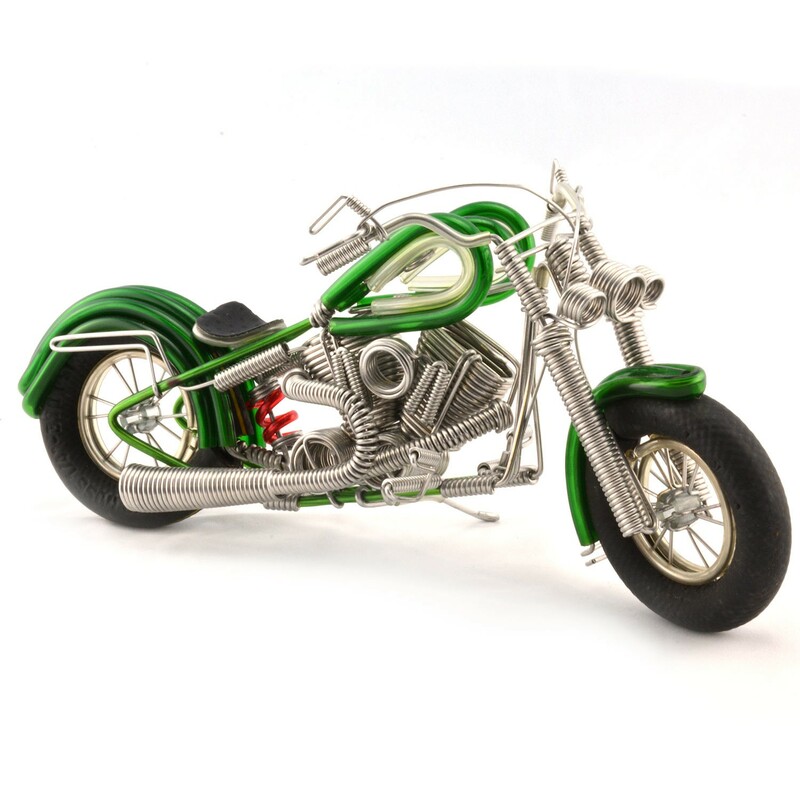 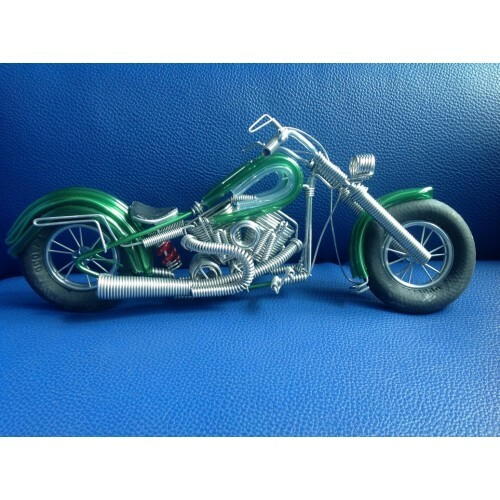 Handmade Harley Davidson 10 inches green motorcycle model made from aluminium coil wire with rubber tube and black rubber wheels. 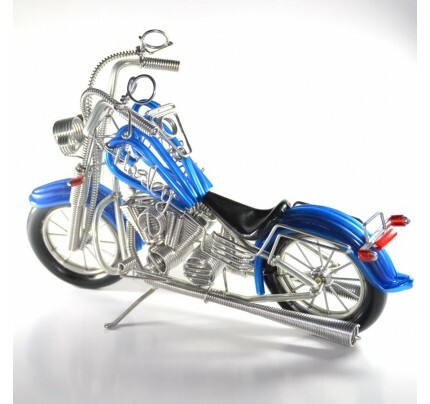 Great collection and cool gift idea! 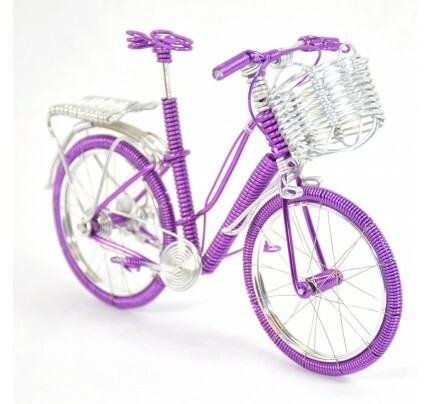 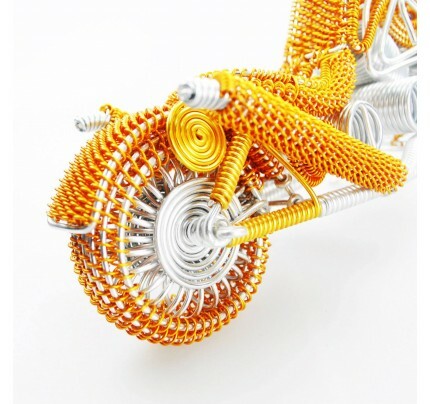 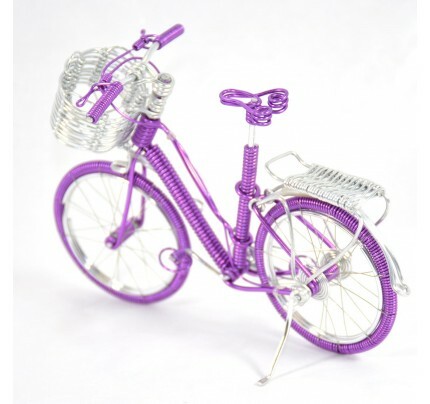 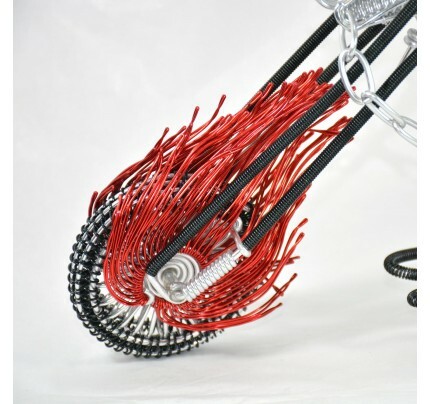 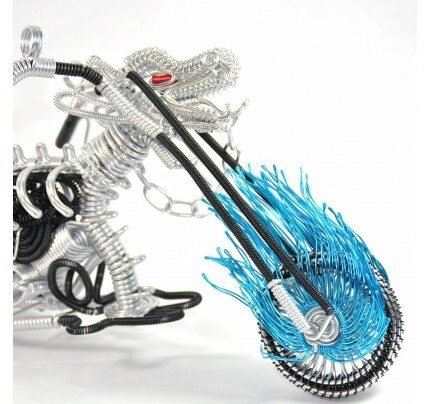 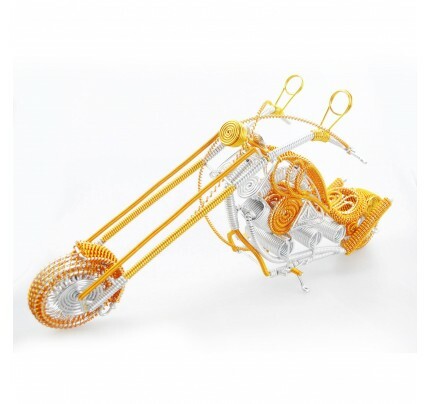 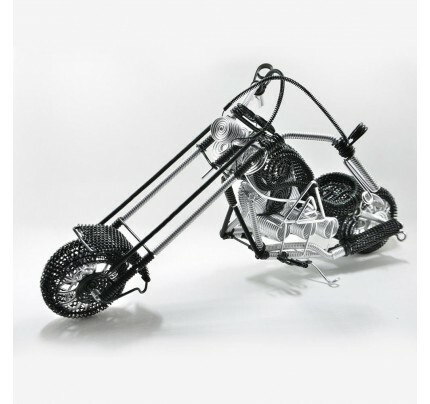 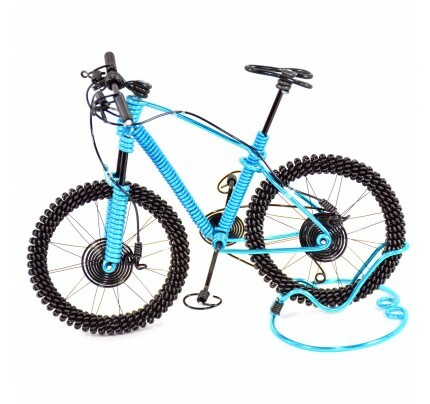 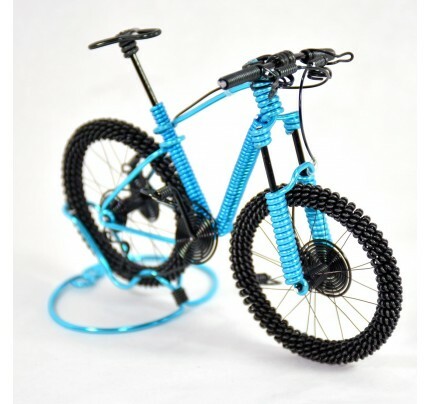 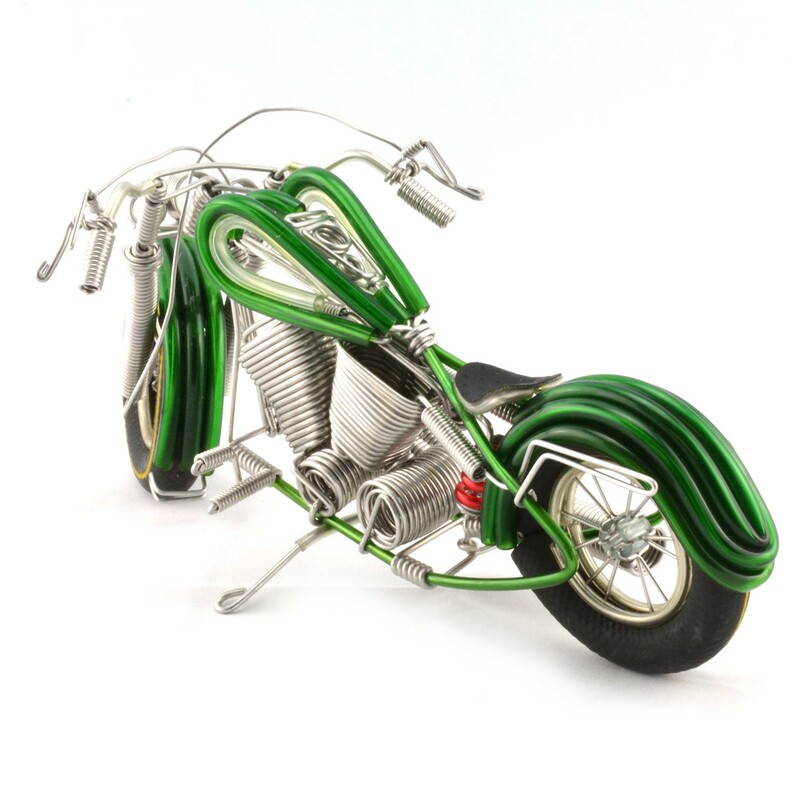 Because this wire motorbike is made by hand, size and weight may slightly vary. 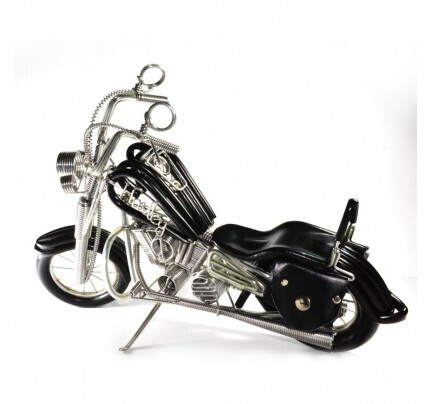 Inches: 11.02" x 5.12" x 5.12"